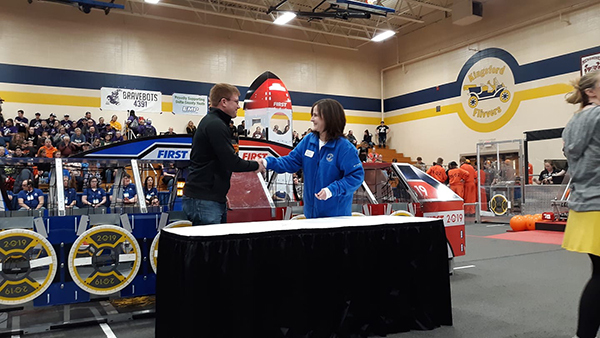 Matt Barron, left, Bay College’s vice president of Academic Affairs, Kimberly Muller, dean of the College of Innovation and Solutions at Lake Superior State University, sign an articulation agreement during a recent robotics competition at Kingsford High School. The agreement is for students pursuing an associate of science degree in pre-robotics engineering. 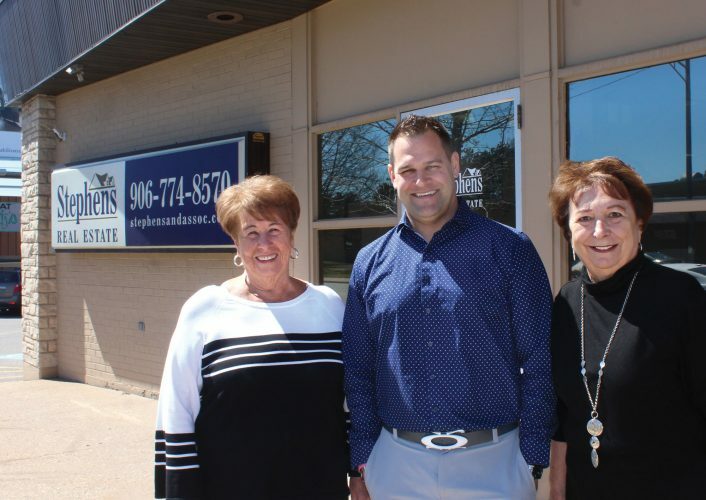 KINGSFORD – Matt Barron, vice president of Academic Affairs at Bay College and Kimberly Muller, dean of the College of Innovation and Solutions at Lake Superior State University. have signed an articulation agreement for students pursuing an associate of science degree in pre-robotics engineering. Students can now spend two years at Bay achieving an associate’s degree in pre-robotics engineering followed by two to three years at LSSU to earn a bachelor’s degree contingent upon the student being calculus ready when entering college. Additional articulation agreements between Bay College and LSSU include computer engineering, electrical engineering, mechanical engineering, electrical engineering technology, and mechanical engineering technology. The agreement was signed March 16 during the FIRST Robotics district competition hosted by Kingsford High School. For more information visit https://www.baycollege.edu/LSSU.